Stanford’s Wrangler – A promising data-wrangling tool, with a lot of the interactive workflow that I think is crucial. 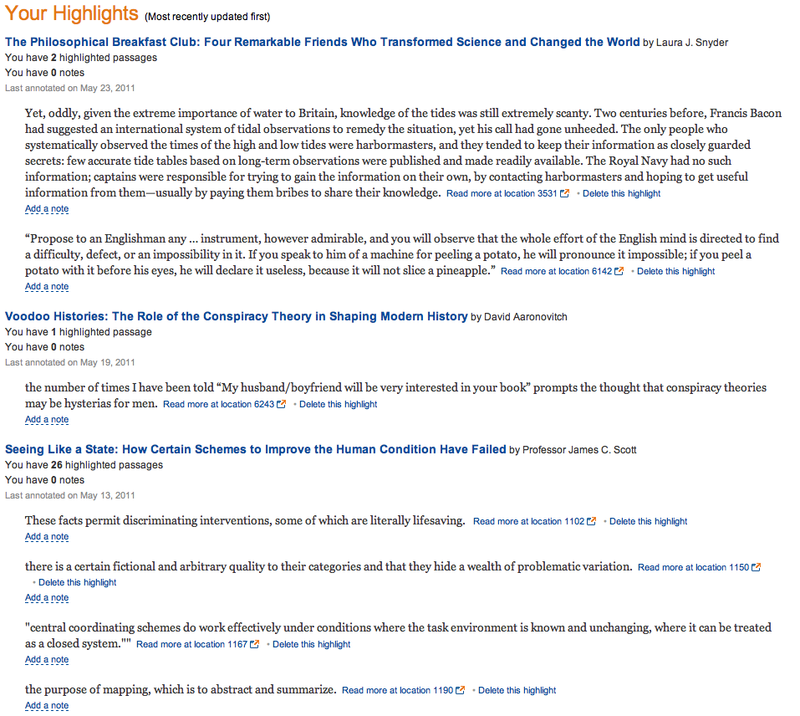 Open Knowledge Conference – They’ve gathered an astonishing selection of speakers. I’m really hoping I can make it out to Berlin to join them. The Privacy Challenge in Online Prize Contests – It’s good to see my friend Arvind getting his voice heard in the debate around privacy. The Profile Engine – A site that indexes Facebook profiles and pages, with their permission. Acunu – I met up with this team in London, and they’re doing some amazing work at the kernel level to speed up distributed key/value stores, thanks to some innovative data structures. A couple of months ago I claimed "These days it doesn't make much sense to build a consumer site with its own private account system" and released a Ruby template that showed how to rely on just Facebook and Twitter for logins. It turns out I was wrong! I always knew there would be some markets that didn't have enough adoption of those two services, but thought that the tide of history would make them less and less relevant. What I hadn't counted on was kids. My Wordlings custom word cloud service has seen a lot of interest from teachers who want to use it with their students, but especially amongst pre-teens, there's little chance they're on either Facebook or Twitter. They may not even have an email address to use! Since that's not likely to change, I added a new "Sign in for Kids" option that just requires a name, skipping a password even. It has the disadvantage that once you log out, you can't edit any of your creations, but that seems a small price to pay to make the service more accessible.